Please contact the bus operator. If you need to make a comment or complaint about bus services, you should first contact the operator. If they don’t deal with your comment or complaint, we suggest contacting Bus Users UK or the Western Traffic Commissioner. Click here for more info. If this is related to infrastructure or timetables at bus stops please contact the council using the contacts found on this page. For any other queries please refer to the bus operators. Please follow the information displayed at the bus stop. We regularly provide information about major changes, you can find these on the bus changes & diversions page. Please contact the bus operator. You can find contact information in our contacts page. Why is the real time display, or website, showing incorrect arrival times? The real time information system retrieves information from the bus GPS unit. So in order for this to work accurately the bus has to have the GPS unit active, drivers turn this on at the start of their shift. If a bus gets delayed in traffic, or has to divert for some reason, it becomes harder for the system to give accurate predictions of how long it will take for the bus to arrive. Occasionally technical faults may arise within the real time information system which can lead to the real time information predictions not being available. There are also rare cases where a bus that is no longer in service still has the GPS unit on and the system will read it as Service X arriving at Bus Stop X. The bus might pass the stop with the "not in service" message, or take a different route and the system will still try to predict an arrival time at the bus stop. This is not a comprehensive list, and there may be other things that could interfere with an accurate prediction. Bristol City Council is currently in the process of providing more real time information (RTI) displays at bus stops across the city as part of the Shelter Replacement Project (SRP). As well as replacing all life expired bus shelters the SRP will also provide an additional 300+ bus stops with RTI displays and raised bus platforms to make boarding and alighting easier. Due to the scale of the SRP completion is planned for early 2020. Work has already begun on upgrading bus shelters in Fishponds, Lawrence Weston, Shirehampton and Stockwood. If you are requesting an RTI display at a bus stop with a shelter we may be able to provide you with an estimate of when the stop will be upgraded as part of the SRP referred to above. If your bus stop is identified with just a bus stop pole we will record your request so that it can be considered as and when funding becomes available. The real time information display, or the website, show a "cancelled" message - what does this mean? The cancelled message will show the scheduled time of arrival for the specific journey based on the 24 hour clock instead of a predicted arrival time in minutes. This enables passengers to make informed travel choices so that they can complete their journey. Please note that the cancelled message does not appear automatically – it requires the operator of the service to cancel the journey(s) from the real time information system as only they can decide whether or not a journey will operate. Which bus stops in Bristol have an real time information display? 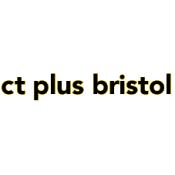 A list of bus stops in Bristol equipped with an real time information display can be found on the travelwest website under the bus real time information section. The real time information display at my bus stop is not working. Who should I report it to? Displays installed at bus stops are the responsibility of the local authority and any faults should be reported directly to them. When reporting a fault with an real time information display, please provide the bus stop name and if possible, the direction of travel for example, College Green towards Whiteladies Road. The council will then report the fault to the real time information contractor as required. How do I report a bus that has not shown on the real time information display or website? Bus registration/fleet number if possible. Once the operator has received the information they will investigate to ensure that the on-bus equipment (OBU/ETM/communications antenna) is working and check that the driver had logged on correctly. If the bus operator is unable to identify the fault the real time information contractor will be contacted in order to identify/repair the fault. 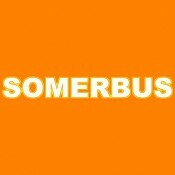 Which bus services are included on the real time information system and website? A list of the bus services included on the real time information system can be found on the Travelwest website under the bus real time information section. 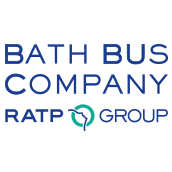 Currently there are over 130 local bus services serving the West of England region on the real time information system (May 2014) provided by Abus, Bath Bus Company, CT Plus, First, Somerbus and The Kings Ferry. Why do some buses not appear on the real time information system or website? There is a fault with the communication systems for example, radio base stations, on-vehicle communications antenna etc, preventing information from flowing between buses and central real time information system to at-stop displays, website, etc. How does the real time information system work? Each bus used on a route that is included on the RTI system is equipped with automatic vehicle location (AVL) equipment that enables the bus to be tracked by global positioning satellites (GPS). The location of the bus is then transmitted to the central RTI system. In addition to the buses location, specific service information is also sent to the central RTI system either through a separate piece of equipment fitted to the bus, referred to as an on-bus unit (OBU), or the electronic ticket machine (ETM). The specific journey information received from the bus is then compared to timetable and service schedule data stored on the central RTI system. The data is then ‘matched’ and using system algorithms, journey arrival/departure times are predicted and communicated to on-street displays, web sites, Traveline (nextbuses service and SMS) etc. Can I take my mobility scooter on the bus? Yes you can, provided you follow the mobility scooters on low floor buses Code of Practice. 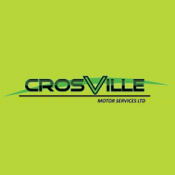 On 14 September 2011, and following discussions with the Department for Transport, Confederation of Passenger Transport UK (CPT) launched a Code of Practice for the use and acceptance of Mobility Scooters on low floor buses. This code introduced a permit system for the mobility scooter user that will make it easier for the bus driver to recognise that the mobility scooter has been approved by the Operator and the user has been trained on boarding and alighting from the bus. The permit will be accepted by all Operators who adopt the Code. Will I be able to ride the bus as a wheelchair user? Yes. By law, all buses have to be accessible and allow space for at least one wheelchair on board. Do plan your journey in advance to make sure that your bus stop allows for wheelchair access. Many bus stops have raised kerbs, and many buses allow the driver to lower the bus to kerb height for even easier access. 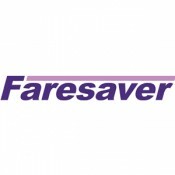 Our journey planner provides information about accessible bus stops. Just look for the wheelchair icon next to the bus stop name, either in the Live Arrivals tab, or the Routes and Timetables. Will I have shelter at the bus stop? Many bus stops already offer shelter, and more and more shelters are being installed at bus stops each year. If you'd like to talk to your Local Authority about a bus stop shelter, please see contact details here. I have difficulty reading the timetables at bus stops. What can I do? Many bus stops now have Real Time Information displays on them, meaning you can see when the next bus will arrive without having to read the timetable. If you have difficulty reading smaller text, our Journey Planner also offers an easier way of accessing timetables or check when your next bus is arriving at the bus stop in real time. 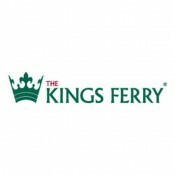 You can use your computer or mobile phone browser to zoom in when using the journey planner and the text size will increase to make it more easy to read. Click here for Live Arrivals. I never got on a bus before and don't know how it works. Can you help? Our How To Catch the Bus page may just be what you're looking for. There is also an Easy Read version if you need it. Below is a list of Operators who's services within Bristol and surrounding area's use the real time information system.